The Week 8 Modern and Contemporary History Research Seminar is on Wednesday 18 November 2015, at 16:30h (NOTE LATER TIME) in Arts Lecture Room 4 (LR4). All are welcome and there will be drinks afterwards! 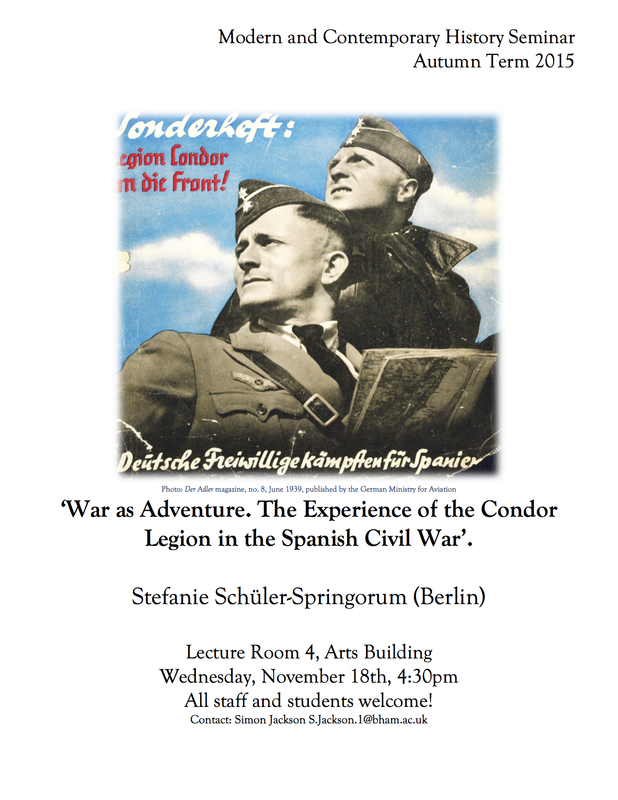 The Week 7 Modern and Contemporary History Research Seminar is on Wednesday 11 November 2015, at 16:15h in Arts Lecture Room 4 (LR4). It will be delivered by: Dr. Konrad Lawson. Abstract: Yan Xishan was one of the most famous Chinese warlords of the 20th century, controlling his province of Shanxi for over four decades, experimenting with an eclectic mix of social and political reforms, and alternately fighting and cooperating with his various military and political opponents, including Nationalist and Communist Chinese forces and the invading Japanese. In his final years in Taiwan, Yan became a utopian in defeat, devoting his final years to fine tuning an alternative vision of world order based on love, anti-Communism, a planned economy, and an institutional cosmopolitanism. 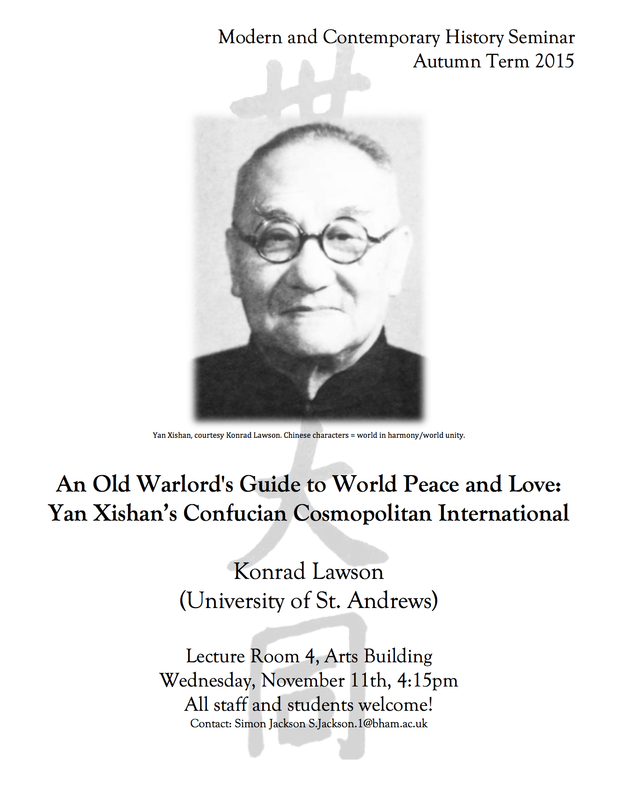 This talk situates Yan’s plans for global unity in its longer historical context, but also argues that it is best interpreted as belonging to a broader global repository of creative expressions of transnational idealism peaking in the middle of the century. All are welcome and there will be drinks afterwards.